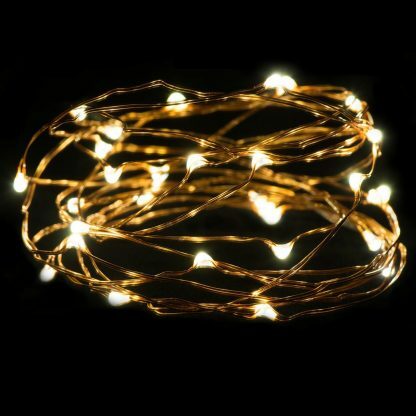 Oak Leaf String Light is made from 30 of individual LEDs,and measures 9.8 feet long. It can be put into mason jars to DIY a fairy night,terrific designing tools for parties,weddings and carnivals. Only 2 CR2032 batteries are required to work for a set of Battery-Operated String Light (Included in the package and Replaceable). 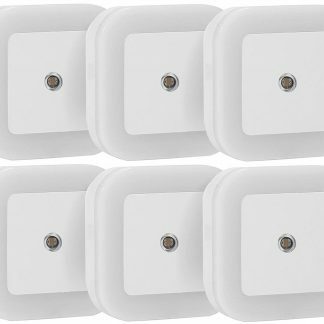 The batteries can last for more than 64 hours non-stop operating time, more with breaks. 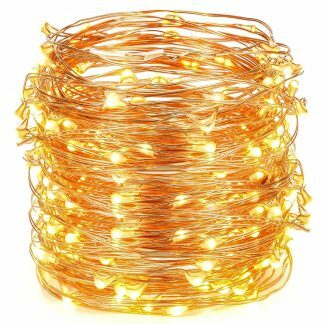 As the Starry String light is made from bendable copper wire, it is flexible and can be molded into any shape you desire.Can be wound around furniture, bed, window, staircase, bar, tree, balcony or garden. We recommend not submerging it into water. 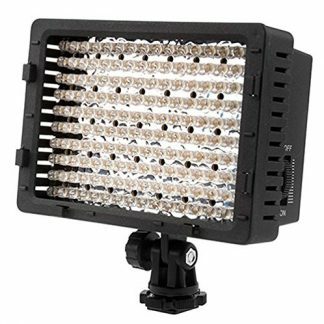 Low heat emission, the LEDs remain cool after long hours of use. Get the most from this energy-efficient, environment-friendly, and cost-effective LED string light. 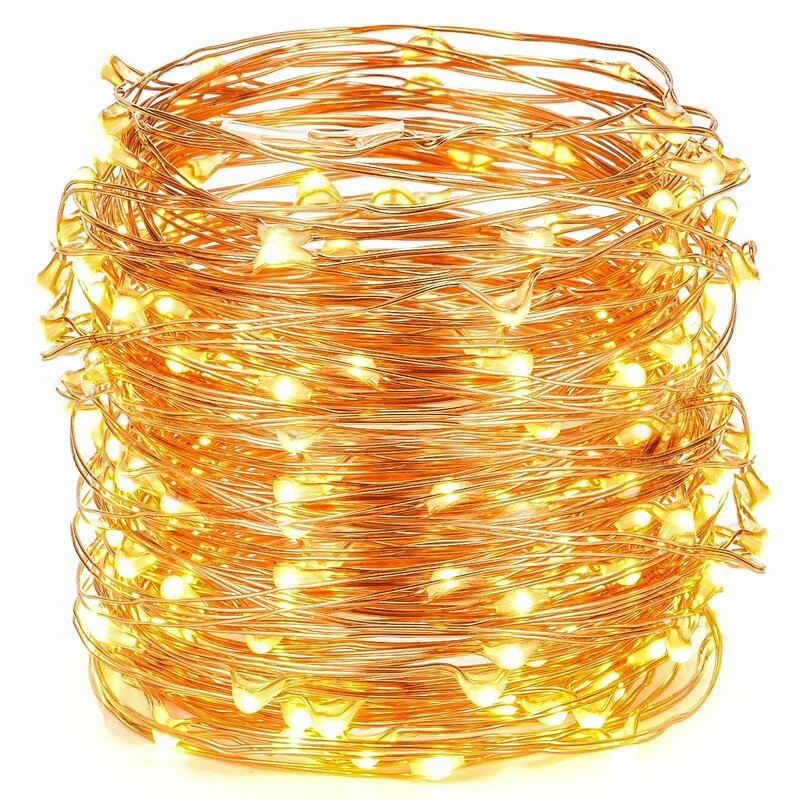 Flexible yet durable, the string lights are perfect for positioning lights to any decorative project. Colored LEDs are individually mounted along the string and provide an elegant sparkling glow that can be seen from any angle. 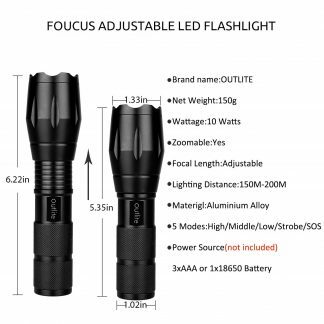 It is easy to use, just click the button on the white battery box, it can light up for at least 64 hours, and looks just like stars bright at night. 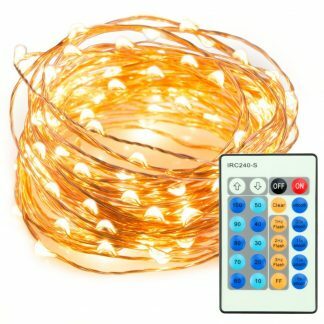 The Decor light is perfect for spice up your decoration and adds welcome feelings to your party, restaurant and shops. 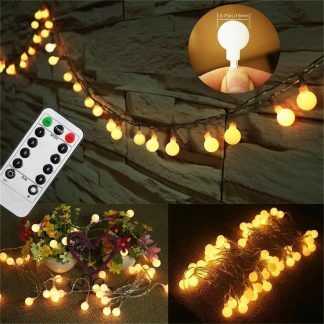 Note: This water drop Flexible Starry String Lights are designed to be used both indoors and outdoors, however, we recommend not to submerge in the water, only use it outdoor when it is not raining. We are 100% committed to your satisfaction. Like you, as customers we are seeking the same values. Should you encounter a problem during our 3-year warranty period, contact us for a replacement unit. ADD TO CARD – Let it light up your celebration and brings pleasant for the eyes and the mind. 1. There is a transparent plastic tab sticking out the battery box. Please remove it before first time use. 2. 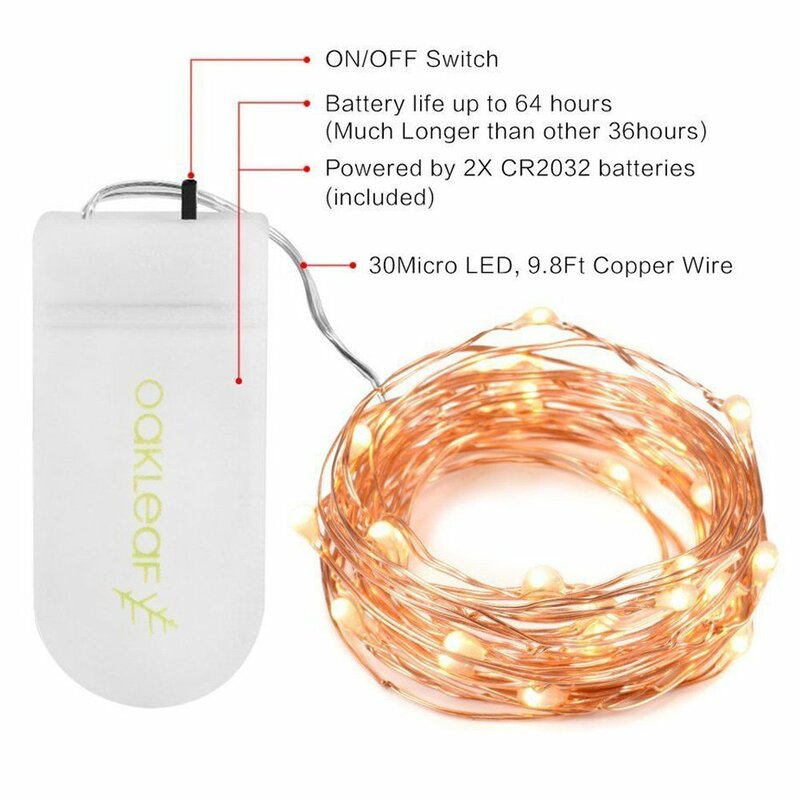 In case the lights change to dim or go out after continuously working for more than 64 hours, please replace with new CR2032 batteries (two batteries each strand) for a try.